Kaziranga style: One of the most commonly used motifs is the Kaziranga style which, according to the local craftsmen and experts derives its inspiration from the wildlife of Kaziranga. 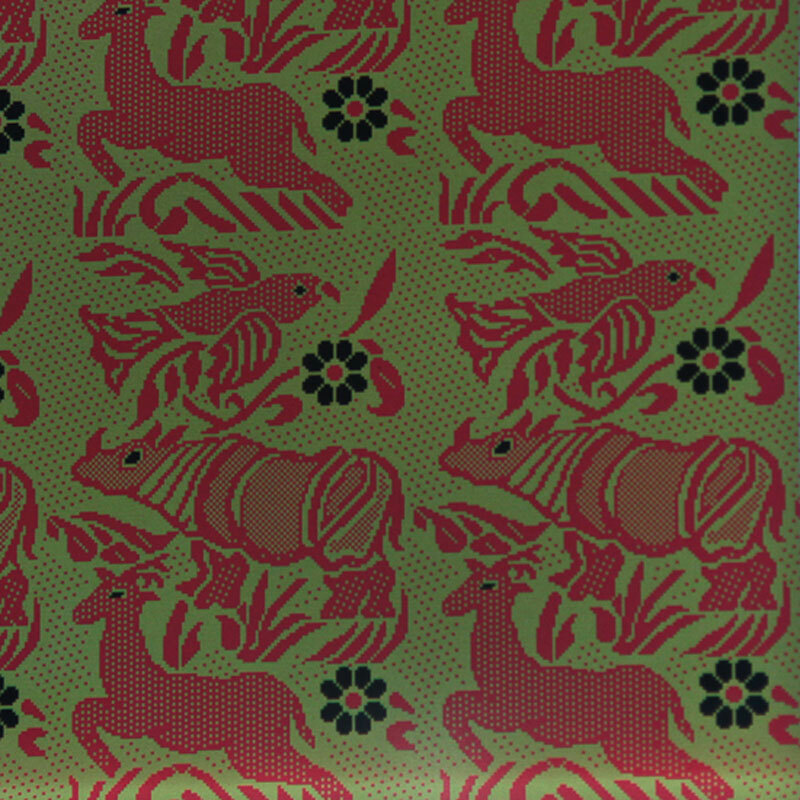 As part of the motif a Rhino and a deer are woven onto the silk garment. King khap style: This style is inspired from the Ahom dynasty and signifies the royalty and magnanimity of the erstwhile kingdom. The design consists of two lions facing each other. 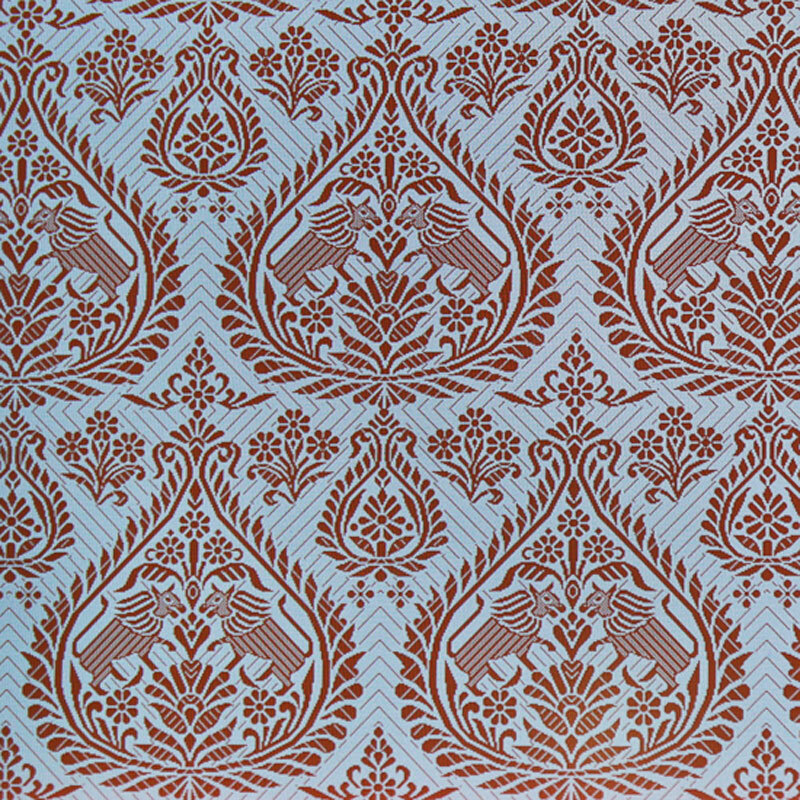 Joon biri style: This pattern is basically woven on the silk garment which is inspired from the Assamese neck piece called the Joon biri. The shape of the Joon Biri is like a crescent moon and is usually engraved with a lot of patterns. Bodo: The Arnai Design is one of the most common pattern used in the garments and is an intrinsic part of the Bodo culture of Assam. 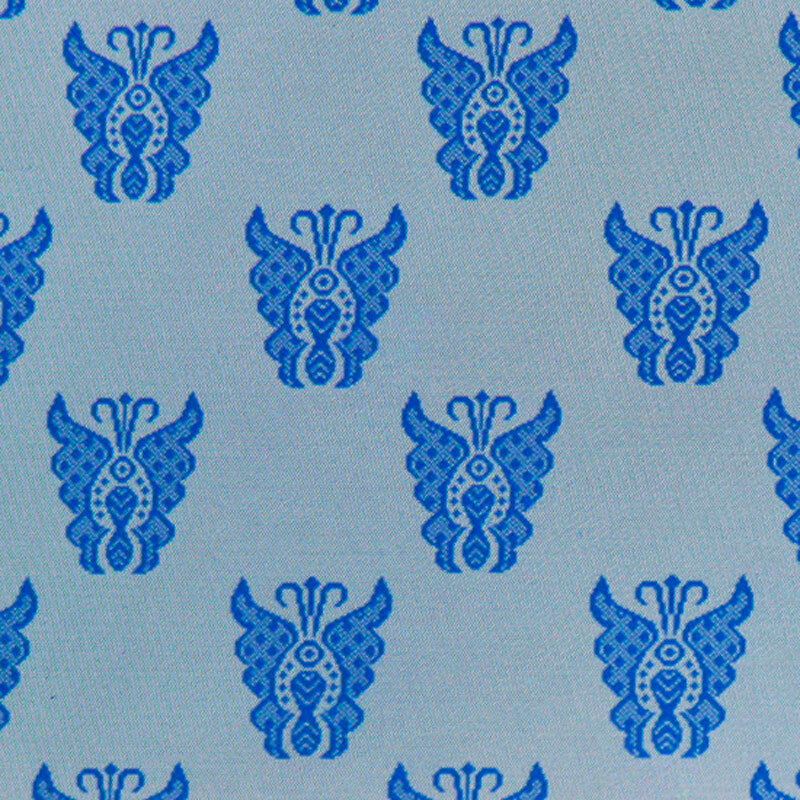 Karbi: The Karbi designs and patterns are some of the most commonly used design patterns. 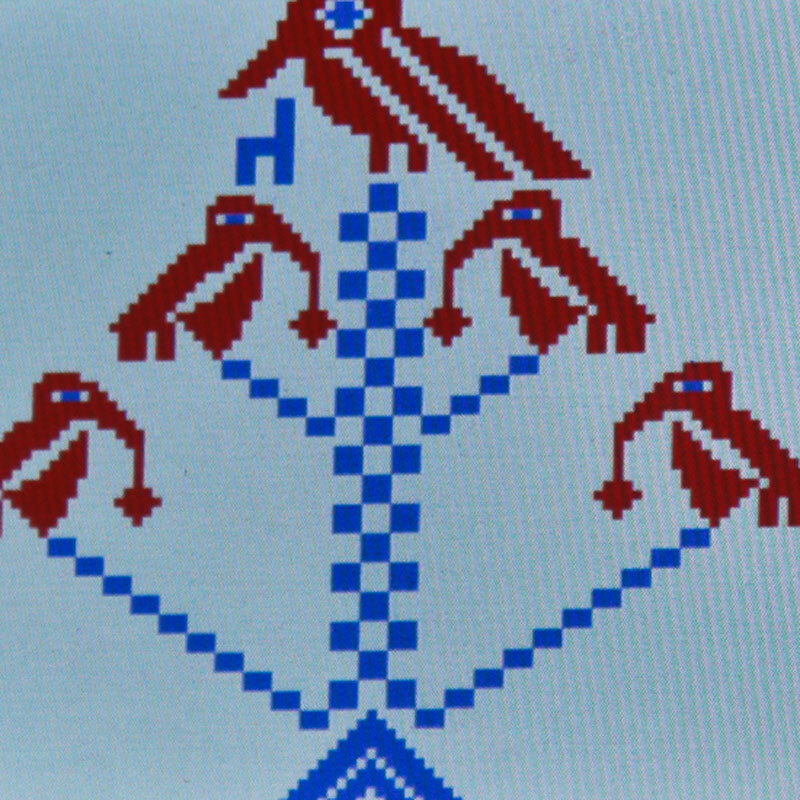 The motif is called the Jamiliaman and has two birds sitting on a tree facing each other. 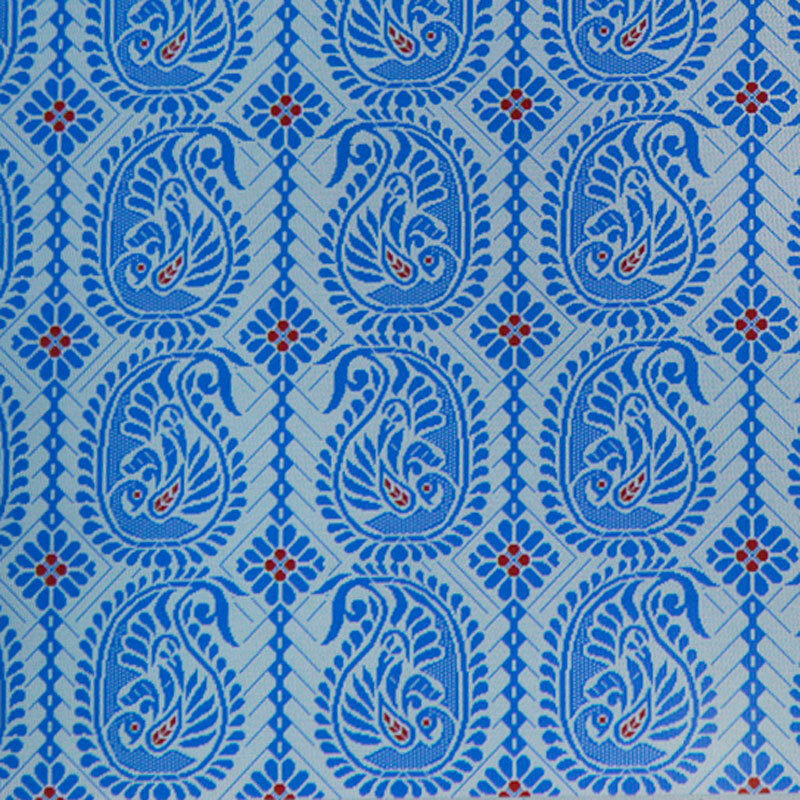 Mourah: The symbol of the peacock is very commonly used on the silk garments. 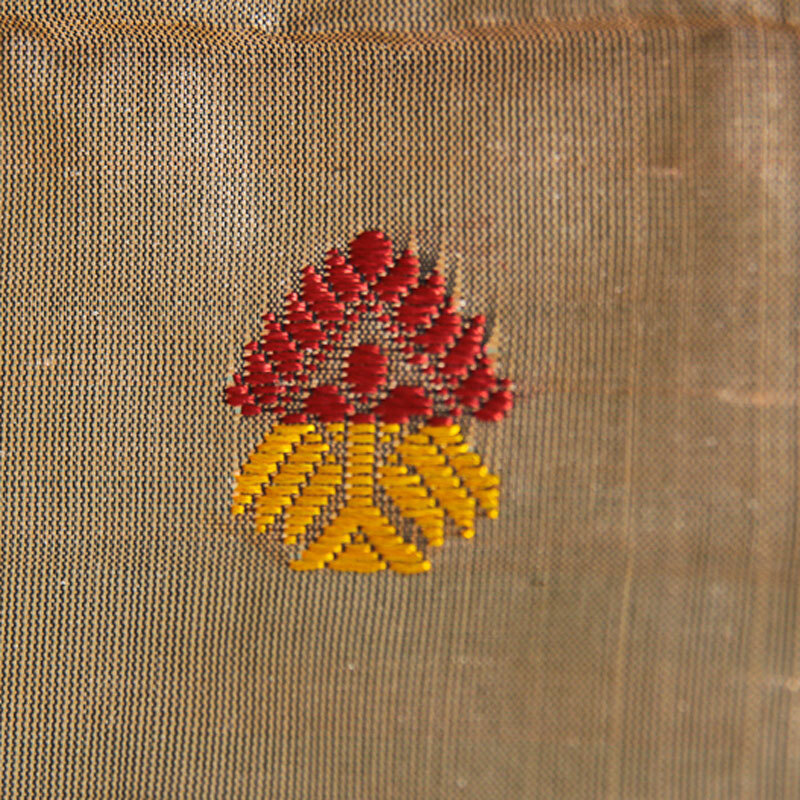 Gach: The motif of a tree is one of the most common patterns found in the Assamese traditional garments. The shape is often represented in a geometrical manner and the shape and design varies according to the expertise of the weaver. Phool Buta: Most patterns and motifs used in the traditional garments are representation of the nature. Hence flower or a bunch of flowers are one of the most common motif found in the traditional Assamese garments. Bhagavat Sarai: This motif signifies the traditional Assamese Sarai (a brass platter) on which the sacred Bhagavat Gita is mounted and kept at the prayer rooms. Japi: Japi is a traditional Headgear, once used by females of noble and rich families, but now serves as a headgear for farmers to protect them from rain and sun. 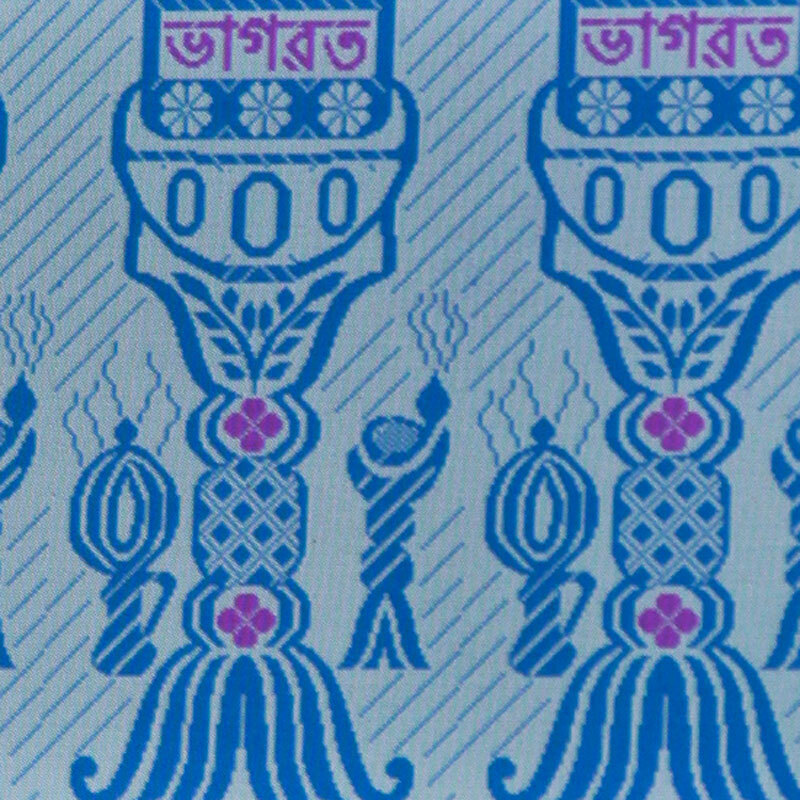 The motif of japi is often found woven on traditional Assamese garments. 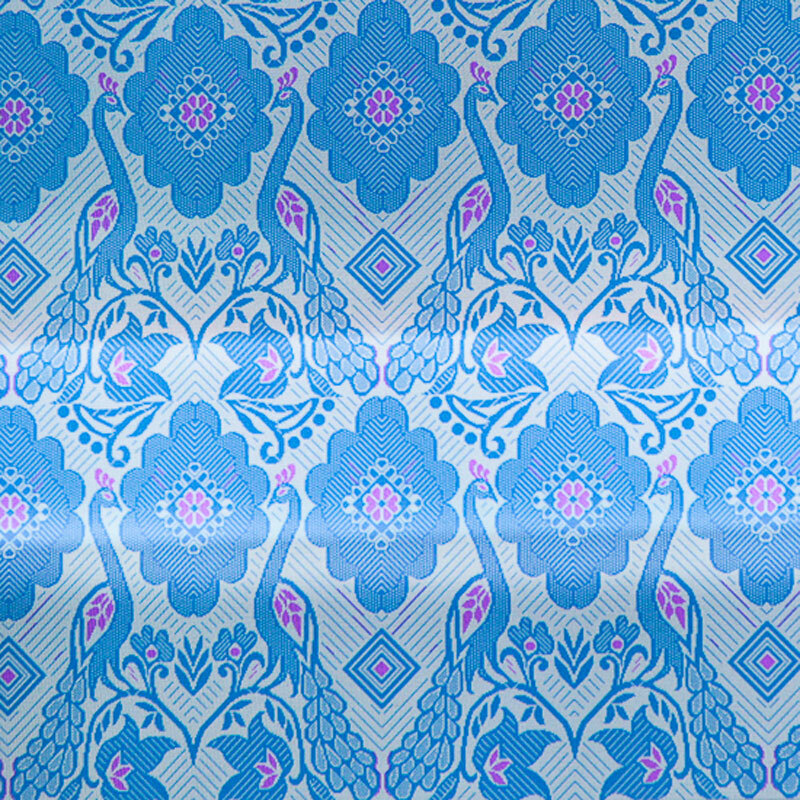 Kalki: Kalki patterns are contemporary patterns with no traditionalism attached to it. 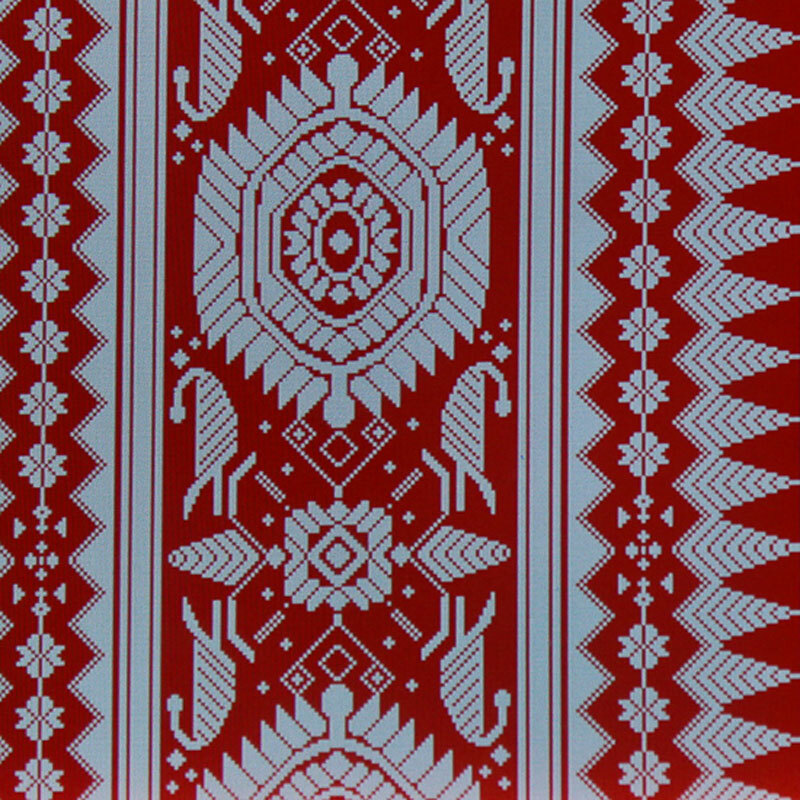 These patterns are often woven on the traditional Assamese garments and have become very popular in the recent times. 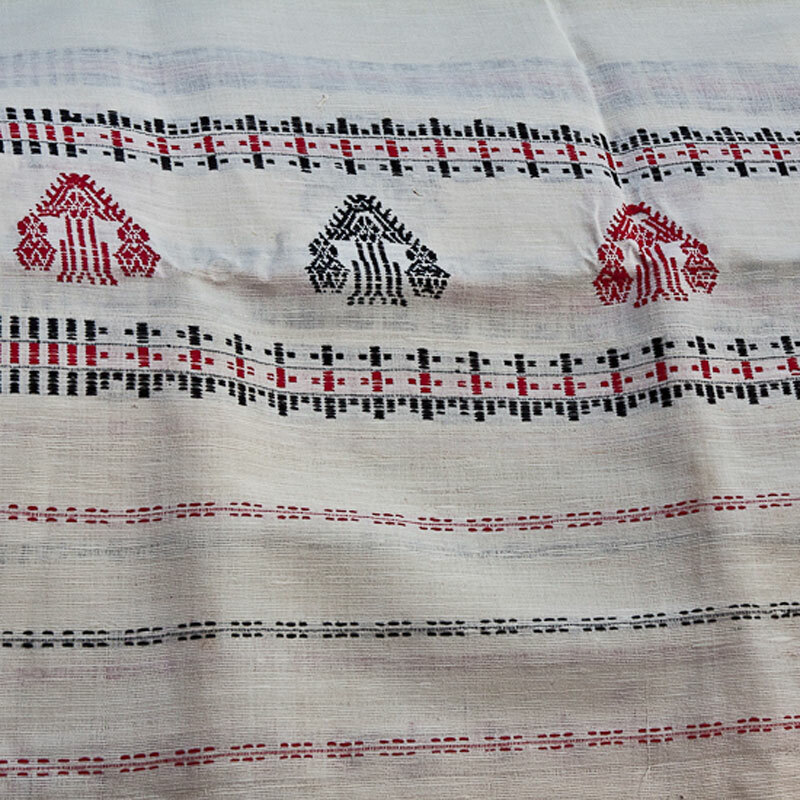 Pokhila: As most patterns woven on the Assamese Mekhela Chador are inspired by nature. The pattern of butterfly known as pokhila in the local language is often woven in different shapes depending on the expertise of the weaver. 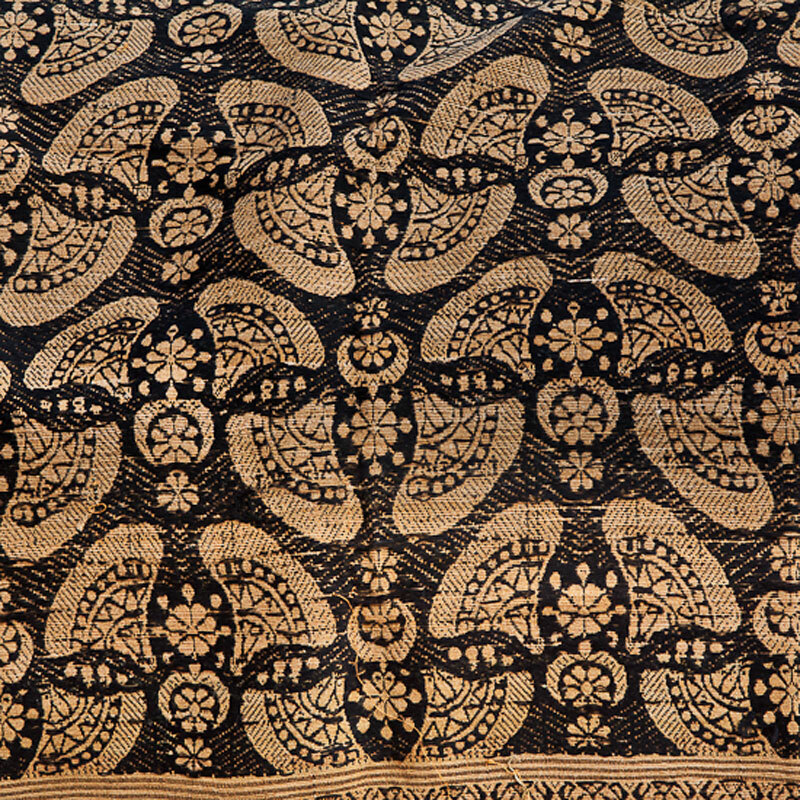 The symbols and motifs which were woven on the silk garments traditionally have undergone a massive change. 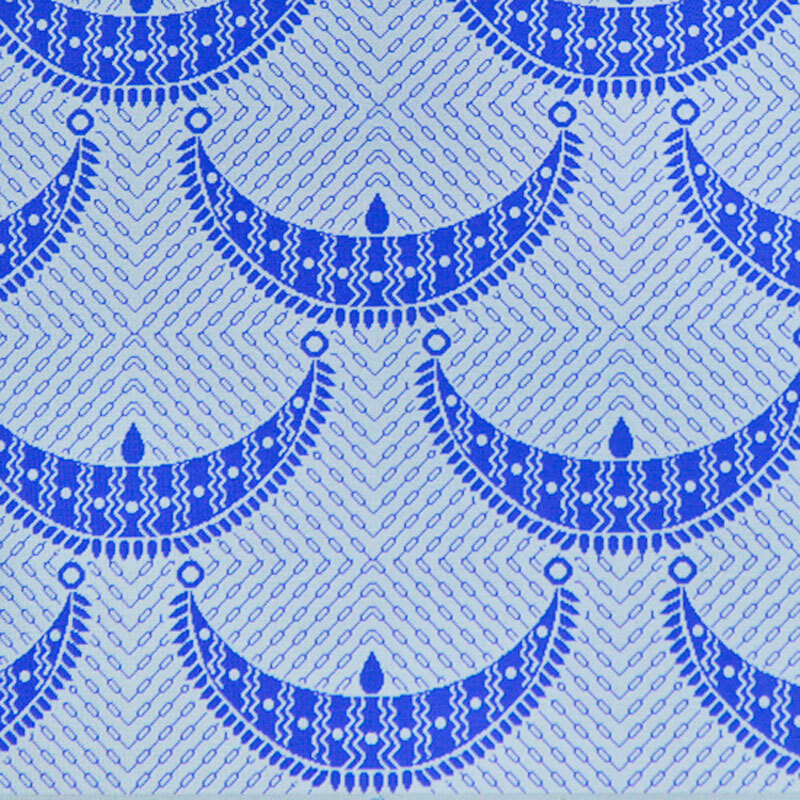 The earlier motifs basically had an angular geometrical shape with references to the traditional culture and symbols. The motifs are mostly imitation the shape of flowers, ferns, trees, butterflies, animals, birds and even Assamese ornaments like the Thuria, Loka Paro, Joonbiri and Gaam kharu.